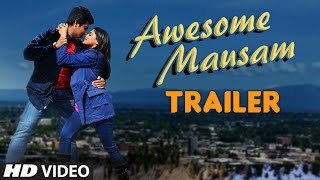 “Awesome” Mausam” is an upcoming Hindi drama movie directed by Yogesh Bhardwaj and produced by Mukesh Choudhary. The film stars Rahul Sharma, Ambalika Sarkar, Mukesh Tiwari, Suhasini Muley & Shailendra Gaur in leading roles. Soundtrack of the film was released on 25 Feb 2016, consist four songs. This album include some of very romantic songs in popular voices including Javed Ali, Monali Thakur, Shaan, Palak Muchhal, K.K, Priya Bhattacharya, Benny Dayal & Ishan Ghosh.